Jake Whitmore is enjoying a rare bonding moment with his 16-year-old son, Kurt, when disaster strikes. They get in a terrible car accident that threatens to derail not only Kurt’s chances at college, but his entire future. Jake makes a split-second decision that saves his son from formal punishment, but plunges them both into a world of guilt, lies, and secrecy. Just when Jake thinks he has everything under control, a malevolent outsider comes forward with the power to expose Jake’s secret. Jill Farrow is a typical suburban mom who has finally gotten her and her daughter's lives back on track after a divorce. She is about to remarry, her job as a pediatrician fulfills her - though it is stressful - and her daughter, Megan, is a happily overscheduled thirteen-year-old juggling homework and the swim team. 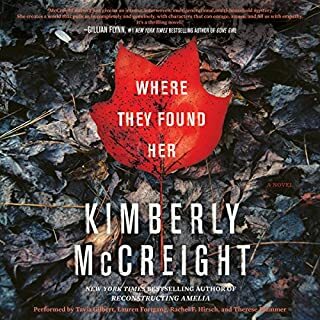 But Jill’s life is turned upside down when her ex-stepdaughter, Abby, shows up on her doorstep late one night and delivers shocking news: Jill’s ex-husband is dead. Abby insists that he was murdered and pleads with Jill to help find his killer. From the best-selling author of Think Twice and Look Again comes an emotionally powerful novel about a split-second choice, agonizing consequences, and the need for justice. Rose McKenna volunteers as a lunch mom in her daughter Melly’s school in order to keep an eye on Amanda, a mean girl who’s been bullying her daughter. In the aftermath of a massive explosion, Rose finds herself faced with the horrifying decision of whether or not to rescue Melly or usher Amanda to safety. Dr. Eric Parrish is the chief of the psychiatric unit at Havemeyer General Hospital outside of Philadelphia. Recently separated from his wife, Alice, he is doing his best as a single dad to his seven-year-old daughter, Hannah. His work seems to be going better than his homelife, however. His unit at the hospital has just been named number two in the country, and Eric has a devoted staff of doctors and nurses who are as caring as he is. But when he takes on a new patient, Eric's entire world begins to crumble. Seventeen-year-old Max has a terminally ill grandmother and is having trouble handling it. That, plus his OCD and violent thoughts about a girl he likes make him a high-risk patient. Max can't turn off the mental rituals he needs to perform every 15 minutes that keep him calm. With the pressure mounting, Max just might reach the breaking point. When the girl is found murdered, Max is nowhere to be found. Worried about Max, Eric goes looking for him and puts himself in danger of being seen as a person of interest himself. Next, one of his own staff turns on him in a trumped-up charge of sexual harassment. Is this chaos all random? Or is someone systematically trying to destroy Eric's life? 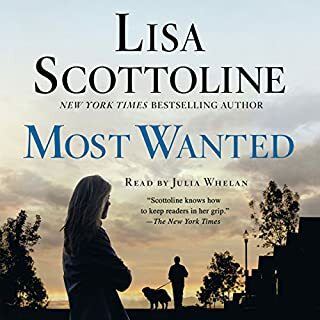 Lisa Scottoline's visceral thriller brings you into the grip of a true sociopath and shows you how, in the quest to survive such ruthlessness, every minute counts. Didn't figure this out...wasn't even close. (I hate to admit that.) Love it when that happens. 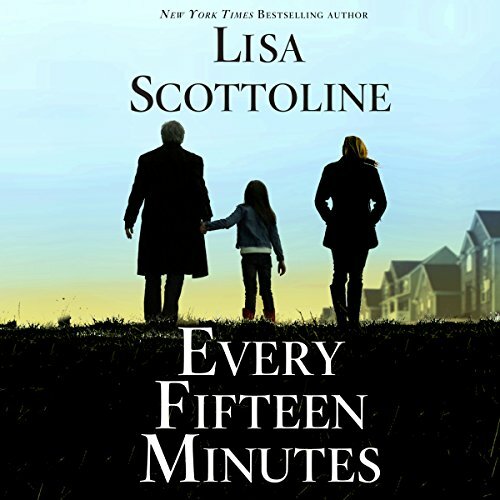 Where does Every Fifteen Minutes rank among all the audiobooks you’ve listened to so far? 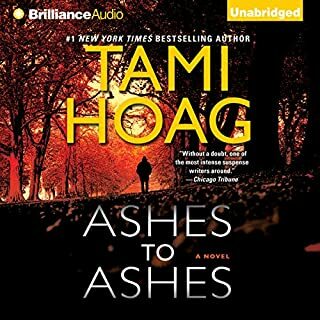 This book ranks among my top 20 books from Audible. Suspenseful storyline. Plot moves along at a steady pace. Lots of info about the sociopathic personality. Plot keeps you wondering who the sociopath is who's causing so much trouble for the main character, until the end of the book Surprise as to who it is! George Newbern is a very good narrator. He also narrates Harlan Coben's new book, "The Stranger." Is there a sociopath lurking around in YOUR life? Buy the book! 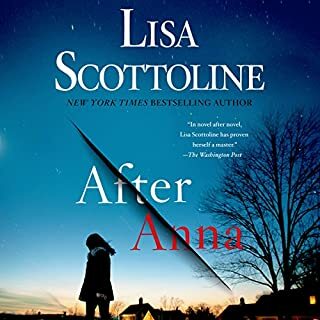 Lisa Scottoline's books never disappoint! My first by this author, and what a pleasant surprise. 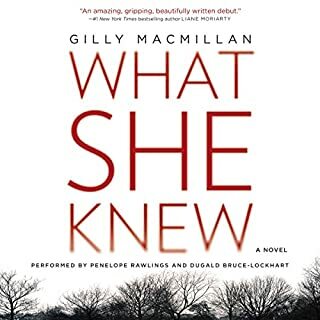 Entertaining, suspenseful, good characters and some nice twisty plotting. Looking forward to checking out more of her work. Worth the credit! Great read. I couldn't put it down. I listened every free moment I had. The storyline left me on the edge of my seat wondering what twist would occur next. Awesome read and I highly recommend this book. What did you love best about Every Fifteen Minutes? What was one of the most memorable moments of Every Fifteen Minutes? I like how the book finally wrapped up. 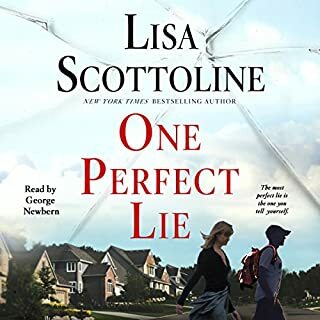 I have really enjoyed reading Lisa Scottoline books and I really enjoy mystery thrillers but I don't think this book worked. It felt slow and I could never really figure out where it was going...not in a good way. I almost stopped listening but hung in there hoping it would pick up since there were such good reviews. Just didn't work for me. Fantastic story, kept my attention to the very end. Narration was wonderful, great story teller. Been looking for a good book and found it. I could not stop listening! The ending was nothing like I expected! This is a must read book for anyone who wants a book to keep them guessing. I liked this book very much. Maybe because I work in the mental health field. But it was good from beginning to end. the end was a total surprise for me. I love that about a book. I would recommend highly. Loved this book. Great story, characters. I found myself completely invested. I like to listen to books as I fall asleep and was laughing (at myself) bc this was too interesting to doze off to :). I hope we have not heard the last from dr Eric. Thanks Lisa!